This little fig tree has survived so much: being transplanted, then a killer frost, and then transplanting again after sewer line work. 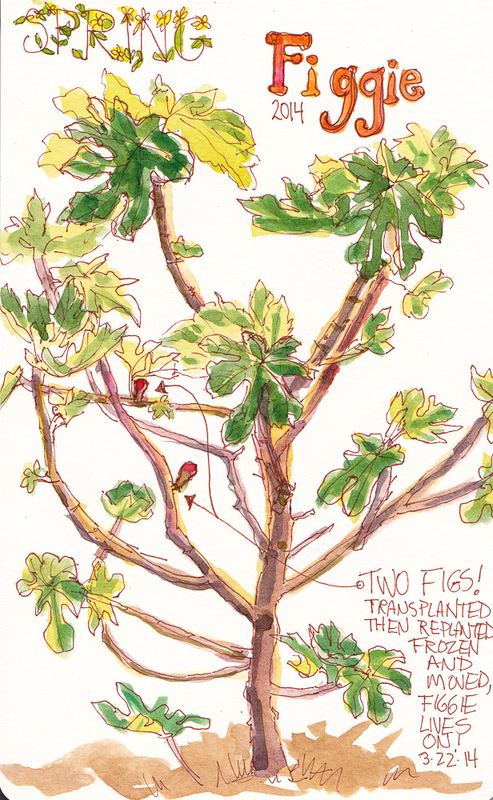 As soon as leaves sprouted this year so did two figs. Sadly the crows or squirrels (or the toddler next door?) took them before I could even post this. 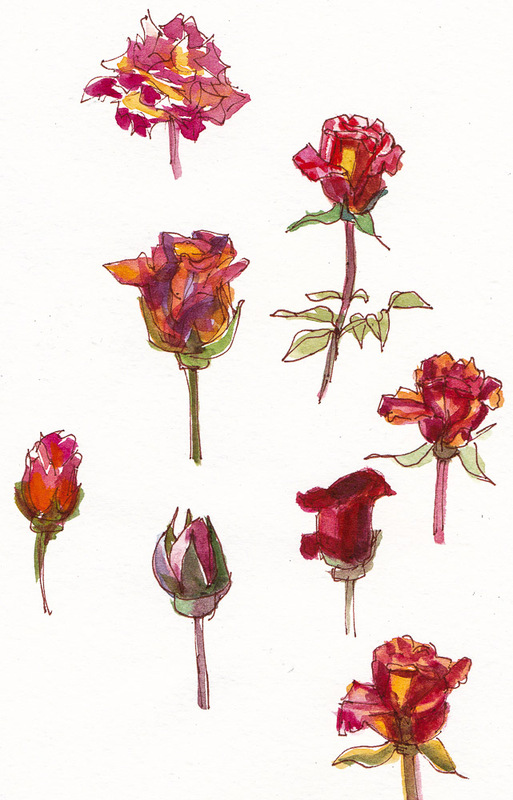 I sat in the driveway and quickly sketched some roses but had to stop when the shadow of the house took away the light. And then there’s my not so spring-y self, frowning into the mirror, with hat-head and something wrong with the mouth. And yes, it’s intentionally buried at the bottom of this post. It feels good to be drawing again, after what seems like months away from it. It’s also a little frustrating feeling rusty at it. But the only fix for that is more drawing! I just had to smile… You look a little stern in your self portrait, but your drawing skills are as sharp as ever to my untrained eye! Yep, Cynthia is right! And I always like your end of book self portraits. 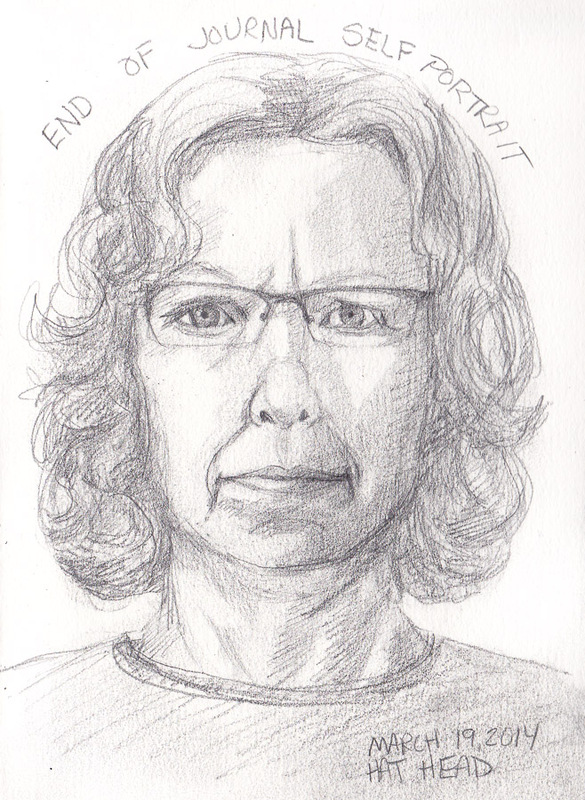 Always like visiting with your self-portraits. We had a little snow on Wed!